So…it’s always sunny in Philadelphia? It better be, because it’s going to be a long year in the city of brotherly love. Let’s hope there is lots of love to go around, because the Phillies will test the patience of even the sunniest fans. Seriously, it’s a rebuilding year. If you live in cities other than New York, Boston, San Francisco and Los Angeles, you do get accustomed to these things. The rest of the world actually endures them periodically. So, if you are looking at the Phillies, you are looking at endgamers, sleepers, prospects and maybe bounceback candidates in a context that will be laden with platoons. So, even where there is the potential for draft day value in terms of skills, you will need to temper bids based on what you know about the starting lineup. But, rest assured, you won’t need to overbid. 3B Maikel Franco is the lone star on this team. On the one hand, that ought to be good for the young star’s stats because there is no reason to pitch around him. On the other hand, why not pitch around him? It’s not like there is a reason to fear whoever follows in this lineup. If there is good news, it lies in the future. The Phillies have a lot of young talent in the majors and on the farm. This summer will be an opportunity to develop all of that talent while looking to keep the fans happy. Let’s go around the horn. C. Carlos Ruiz is 37. Since hitting 16 HR in 2012, his production has eroded quickly. He will share work behind the plate with Cameron Rupp. On a bad day, they can use former uber-prospect J.P. Arencibia. None of these guys will offer you steady production behind the plate. Were Ruiz a bit younger, Philadelphia might get him some AB to try to boost trade potential. But the 38-year-old catcher market simply is not what it used to be. Rupp had a decent second half of 2015, in which he had 8 HR in 150 AB. But a .230 BA seems to be his ceiling. Arencibia’s put balls in the bleachers in a hurry, but he still looms as a daunting threat to your team BA. Unless one of them heats up unexpectedly, none of these guys is a lock for even 350 AB. 1B. Ryan Howard. The once-formidable HR hitter is now 36. The last time he hit more than 25 HR was 2011. He struggles against LHP and is an injury risk (he did not swing a bat afte September 14th last year), so first base is going to be a platoon with Darin Ruf facing lefties and Howard facing righties. Ruf has solid skills and power, but the platoon situation limits his value. If Ruf gets OF PT, his value could increase. It’s possible that neither of these guys could crack 400 AB in 2016. 2B. 26-year-old Cesar Hernandez is a great source of speed, but not much else. In an era of cheap speed in fantasy drafts, Hernandez’s lack of punch in the other four categories limits his value. He did better in the first half of 2015 (.299 BA in 174 AB). show his BA fell to 250 in the second half as his patience disappeared and his GB% jumped to 59%. If he can steady his patience and get on base, he is a good source of speed and, potentially, runs. SS. Freddy Galvis is a .250 hitter. He might net double-digit HR and sb, but he is more of a late round filler than a real fantasy asset. His position is tenuous with stud-prospect J.P.Crawford’s arrival virtually guaranteed for 2016. On the heels of a season punctuated with the likes of Carlos Correia and Francisco Lindor, expectations for Crawford may skyrocket. Temper those expectations with a bit of reality and you have a solid growth stock in Crawford. There is no reason for the Phillies to hurry his arrival. There is a good chance he may not show till the All-Star break. Definitely an end-game, growth stock investment. 3B. Maikel Franco lived up to the hype after last season’s call-up. In 304 AB, he had 14 HR and 50 RBI. That translates into 25 HR production. His season was shortened by a wrist injury, but his skill set is solid. The greatest threat to his production is that there is no real protection for him in the Phillies’ lineup. Nevertheless, 25-80-.275 is within reach. He’s only 23, so match your expectations with patience. He’s a solid keeper and a blossoming stud at 3B. The Philadelphia OF is a Rubik’s cube. It could look different from week to week and, perhaps, day to day. With Altherr’s surgery, the only certainty for now is that Odubel Herrera will be an everyday player. Herrera spent 2015 in the leadoff spot and will return there in 2016. He is the one true source of speed on the Phillies. If Hernandez (or whoever holds the #2 spot in the order) bats well, Herrera could deliver 30+ SB with no trouble. Alas, he is on the Phillies, so 80 R would be a bonus. 70-75 R is more likely. Still, a good source of OF production in the mid-to-late rounds of your drafts. Besides Herrera, the OF will be comprised of some combination of Cody Asche, Tyler Goeddel, Peter Bourjos and Darnell Sweeney. With the exception of Goeddel, the others all offer qualified value at best. Bourjos once offered good speed and decent pop; he hit 12 HR and stole 22 bases in 500 AB for the Angels back in 2011. Since then, he’s fallen off the radar as a journeyman. With Altherr out for at least the first half of the season and possibly longer, Bourjos may have a chance to secure AB. Asche has some pop in his bat. He hit 12 HR in 425 AB for the Phils in 2015 and 10 the year before. But .250 looks like his BA ceiling. He has a strained oblique and could easily start the season on the DL. This is good news for Darnell Sweeney, who also has some power, as well as good speed. But you can’t steal 1B. With patience and PT, he might be able to crack .240. But, with 2B and 3B locked up by Hernandez and Franco, OF is Sweeney’s only chance to shine. IF he has a good spring and gets a starting position in the OF, he’s a decent endgame source of speed and, possibly, power. Tyler Goeddel stands to gain the most from the opportunity opened by Altherr’s injury, and Philadelphia stands to gain more from Goeddel than from the other moving parts in the Philadelphia OF. Philadelphia snapped him up from Tampa Bay in the Rule 5 draft (where they also found Herrera, by the way). Goeddel has good speed and power (12 HR and 28 SB in 123 double A plate appearances last year). Of all the moving parts, Goeddel is the most likely to secure a starting job on Opening Day. So, beyond him and Herrera, the third OF spot will be a platoon unless Sweeney or Bourjos shines in Spring Training. The pitching staff is simply unremarkable. Jeremy Hellickson is an endgamer who will offer stability as a #5 SP on your roster. But on the MLB playing field, he is hardly a #1 SP. After Hellickson, the rotation is comprised of Charley Morton, Aaron Nola, Jerad Eickhoff and Vincent Velasquez. The good news is that all of these guys will see plenty of opportunities. The bad news is that they simply do not comprise a solid rotation. Nola showed quality stuff in his 2015. He went 6-2 with 6 quality starts and 68 K in 78 IP. When he does not miss bats, balls do have a habit of leaving the park. He’s only 23 and has time to work on this. But his innings will be limited. Along with Eickhoff, he offers intriguing young talent in the midst of an otherwise unremarkable rotation. Eickhoff is a solid prospect. He had a 2.65 ERA in 51 IP last year. He also finished the season with two 10-K games, so he has the skills, but he has displayed them in a very small sample. No matter how good he is, he too will see his innings limited in 2016. Velasquez posted 58 K in 56 IP along with 3 QS in 58 IP in 2015. He’s another growth stock with solid upside. He’s also a candidate to have his innings limited. The rotation really seems to be awaiting the arrival of Jake Thompson, Mark Appel and Zach Eflin. Thompson came over as part of the Hamels deal. Appel was Houston’s #1 pick in the 2013 draft. Each of these kids (they are 22, 24 and 22, respectively) has quality stuff. There is no need to hurry them. Thompson seems the likeliest of the bunch to see big league time this year. But if Philadelphia really shifts into serious rebuilding mode, they all could see some innings. The bullpen is a hodgepodge. It’s hard to say who will win the closing spot and for how long the winner will hold it. David Hernandez looks like the prime closer prospect for now. He is nursing a triceps injury, though. Keep an eye to see if it turns into more. Philadelphia is also carrying former closers Andrew Bailey, Ernesto Frieri and Edward Mujica this Spring. All have had success in the closing role and all are looking for redemption. Mujica has not been heard from since he saved 37 for the Cardinals in 2013. He is having a decent Spring, but is more of a setup man than a closer. Bailey is solid this spring and could assume the closer duties if Hernandez fails or his injury lingers. Frieri is not pitching well this Spring and may not make the roster. In general, there is great opportunity in the Phillies’ bullpen if you are a real, live pitcher. But, in fantasy terms, this is a very unstable, unpredictable situation. Someone will have to save games for the Phillies, but it’s not clear who would even make the closer committee. In closing, it will be a long summer in Philadelphia. Fantasy fans will find little to bid on in early draft rounds here. For real fans of the game, though, it will be fascinating as the team looks to manage and develop young talent. The sun will shine again in Philadelphia. 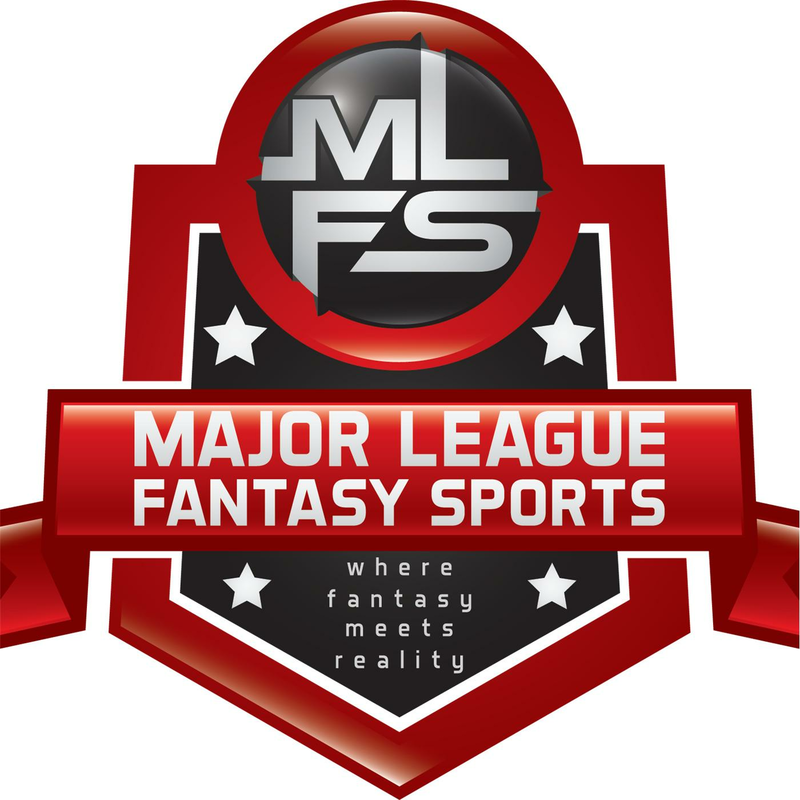 Major League Fantasy Baseball Weekly: Join Lou Landers and Kyle Amore live on Thursday March 17th, 2016 from 8-10pm EST for episode #4 of Major League Fantasy Baseball Weekly. We will discuss player positions and help prepare you for the coming draft season. This will run every Thursday as a live broadcast that will take live callers at 323-870-4395. Press 1 to speak with the host. This week we will discuss everything fantasy and MLB related in the N.L. East. Our guest this week is Bryan Luhrs. Bryan is the owner of Real Deal Dynasty Sports, a writer with majorleaguefantasysports.com, and big part of our growing MLFS community. Major League Fantasy Baseball Show: Join Corey D Roberts on Sunday March 20th, 2016 from 7-9pm EST for this week’s episode of the Major League Fantasy Baseball Radio Show. We are a live call in radio show so we encourage callers at 323-870-4395. Press 1 to speak with the host. This week we will break down everything fantasy and MLB relevant for the N.L. Central division. Our guests this week are Andy Macuga and Phil Weiss. Andy is the head baseball coach at Borrego Springs H.S. in Southern California, and a veteran owner in MLFS leagues. Phil Weiss’s resume includes working as a CPA with a large public accounting firm as well as private industry (Fortune 500), specializing in international corporate tax planning. Also earned the Chartered Financial Analyst designation. Chief Financial Analyst for Independent RIA, responsible for individual securities held in client accounts. Frequent guest on CNBC and Bloomberg television. Multiple appearances on Bloomberg radio, local and national radio. Seasoned fantasy player since college and also a Major League Fantasy Baseball team owner for 3 years.